"God ... has written us love letters in His creation, in His Word, in His invitation to ... converse with Him about our needs, in His daily provisions for us, and, above all else, in Jesus' death on the cross." Mary Love Eyster has been taking notes throughout her years as a Christian, wife, mother, Sunday school teacher, and Bible study leader. 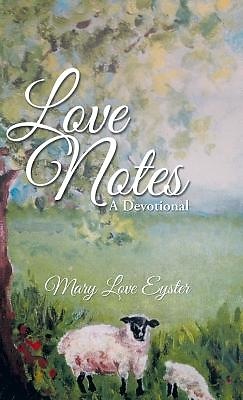 This is the first compilation of her devotionals, originally written for the Church at Quail Creek, and posted each week on her blog, http: //mlovenotes.blogspot.com/. Reading Love Notes is like having a cup of coffee in the kitchen with a cherished and wise friend Stop in and stay for a while.